Recently, one of our non-profit clients, United Way for Southeastern Michigan, approached us with a unique translation request. 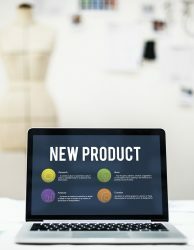 We have been working with them for nearly 4 years now, and all of their previous requests had been pretty straightforward falling within our normal translation workflow where the text was translated and later imported into Adobe InDesign for typesetting and design purposes. Moreover, all of the previous requests have been primarily for English to Spanish and English to Arabic with occasional sprinkles of English to Bengali language pairs. But this time they needed something unique that they had never requested before. They needed us to translate surveys from English to Arabic using the “Translating and Validating ecSI 2.0 for Use in Language other than English” methodology that was developed by The Ellyn Satter Institute. 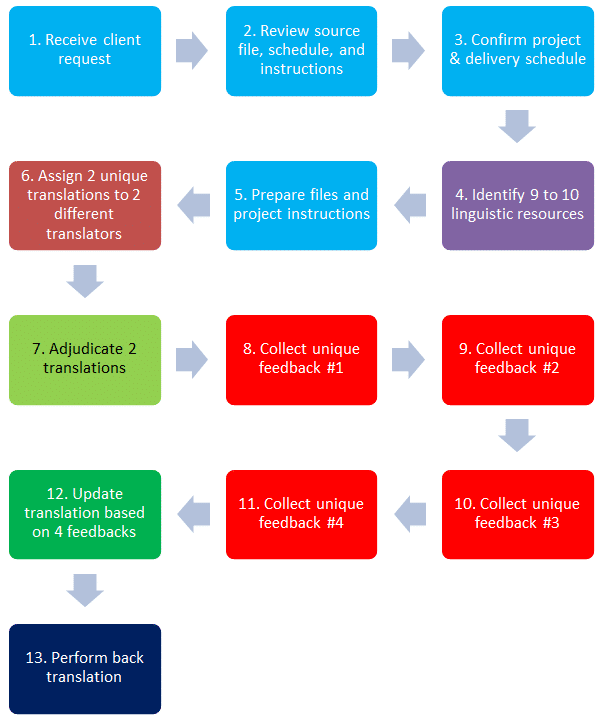 This particular translation methodology (Translating and Validating ecSI 2.0 for Use in Language other than English) calls for 9 to 10 unique translators for the translation workflow. The normal translation workflow, as shown above, generally uses 2 to 3 translators at most. 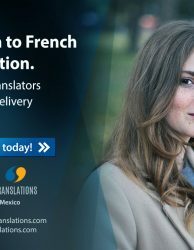 You might be wondering, “why so many translators”? As you can see from the rather intense workflow above, the overall project demanded a significant amount of services to be provided. Furthermore, the role of the project manager is much more involved in this workflow because the projects had to be coordinated with 9 to 10 translators as opposed to 2 to 3 translators. On average, the PM has to spend about 250% to 350% more time managing a project of this nature. The increase in the workload was very new, but fortunately, our PM was able to weather the storm and to do so with great success. 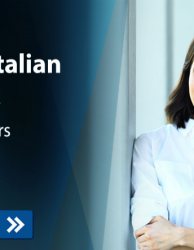 This was the first time EPIC Translations performed projects with this workflow, and we are pleased to announce that the client was very satisfied with the results. We have once again proven that our dedication to accomplish the projects that are given to us will be achieved and with great success. Our level of adaptability coupled with our dedication to providing the absolute best services is the work ethic that we strive to continue to improve, and we are most appreciative of being given the opportunity to try something different. 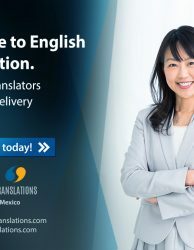 “We really appreciate the coordination and work to get these translations completed”.